Have you ever thought about opening a retail store? All summer long, some Milwaukee business owners have been getting the opportunity to test out having a physical store, free of charge. The program is called Pop-Up MKE, and it’s helped 19 minority entrepreneurs test out their dreams. Tiffany Miller is one of those business owners. She says that, unfortunately, there’s a stigma attached to black business owners, especially in this city. “That we’re not providing a high-quality product or we don’t come through on our promises. Like anything negative about a business that can be said, that’s what society tells us about our business, which isn’t a fair or true reflection of what we actually do,” Miller says. 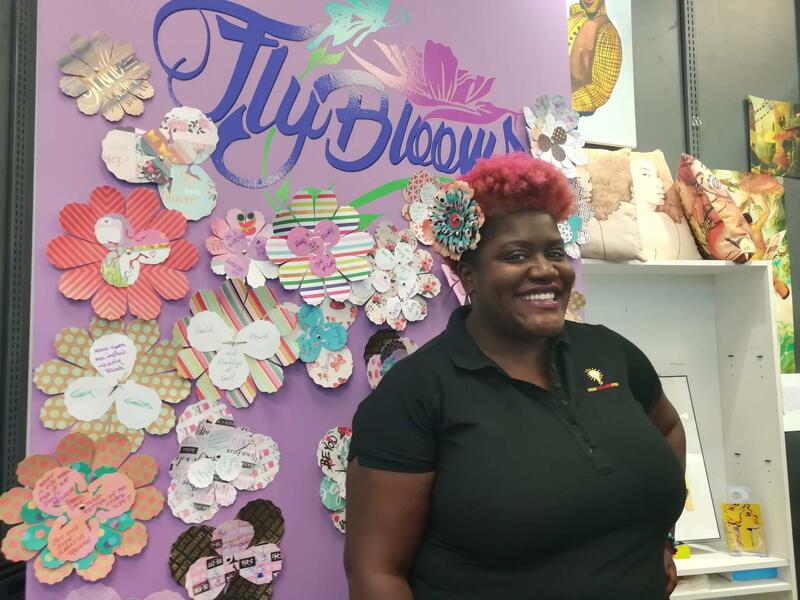 Her company is called Fly Blooms. She makes everything from clutch handbags to earrings to lapel pins. She also makes flowers for your hair. Tiffany Miller uses bold fabrics and says her flowers are inspired by Billie Holiday. “My flowers are inspired by Billie Holiday, believe it or not. I love how she just represents femininity, that boldness in her lyricism. And my flowers represent that with the various color combinations as well as the touch of vintage buttons,” she says. Miller’s flowers, just like the rest of her work, are vibrant in color. The retail space she shares with three other black women entrepreneurs is located at the corner of Vel R. Phillips and North avenues. Beth Haskovec focuses on commercial corridor revitalization for LISC Milwaukee, one of the organizations behind Pop-Up MKE. The program is targeting three historic corridors in Lindsay Heights and on King Drive and Cesar Chavez Drive. It takes empty storefronts and turns them into retail space. Program participants can then use the space free of charge for a month. Haskovec says the goal is two-fold. “One is finding startups that have done some work and have started to build their business and their brand but really are looking for an opportunity to level up as a business. And then also filling our corridors. So, helping to recruit businesses to the corridors, starting to build relationships with the bids and some new business owners that could potentially be longtime tenants within the bid, Haskovec says. Haskovec says LISC’s involvement in Pop-Up MKE was spurred by all the development happening in downtown Milwaukee and realizing that investment will spread to nearby neighborhoods. “We need to spend some time investing, especially in business owners of color so that we can build their businesses to stay in those neighborhoods so that they aren’t displaced by all of the investment and energy that’s happening downtown, especially with the new arena,” Haskovec says. Miller is partnering with other minority business owners carrying their products in her store. Back in the retail space being occupied by Fly Blooms, Tiffany Miller says she hopes to have a permanent space to house and sell her goods. “I would love to have a brick and mortar on MLK Drive. It’s like the heart of the city for me and why not? I’m from Milwaukee, I grew up in the Sherman Park neighborhood and I currently live in the historic Cold Spring Park neighborhood. But it’s something about the North Avenue and MLK corridor that is unique. It’s Bronzeville," she says. And Miller says that space wouldn’t just be for her. 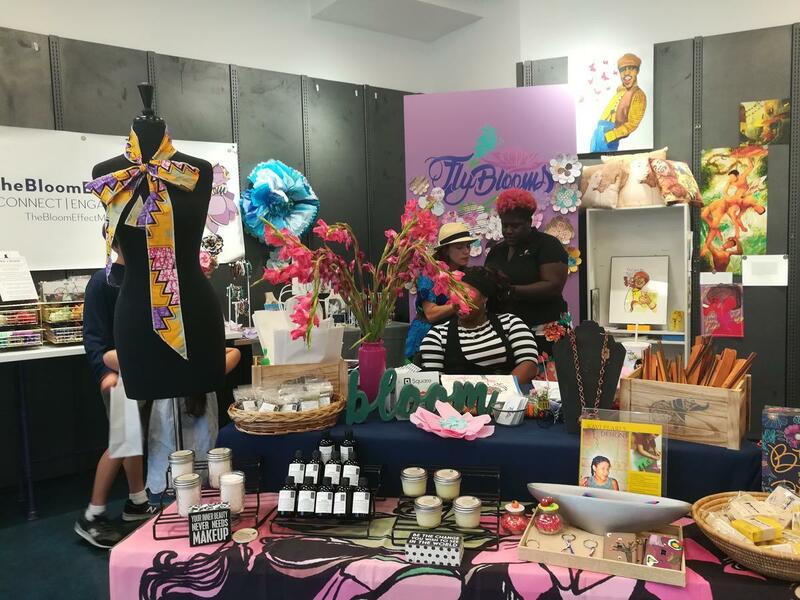 She’s currently selling the products ranging from body creams to jewelry made by 10 African-American women. She would love to partner with them at their own location. “I strongly believe that if I win, my sister can win and we can all win," Miller says. 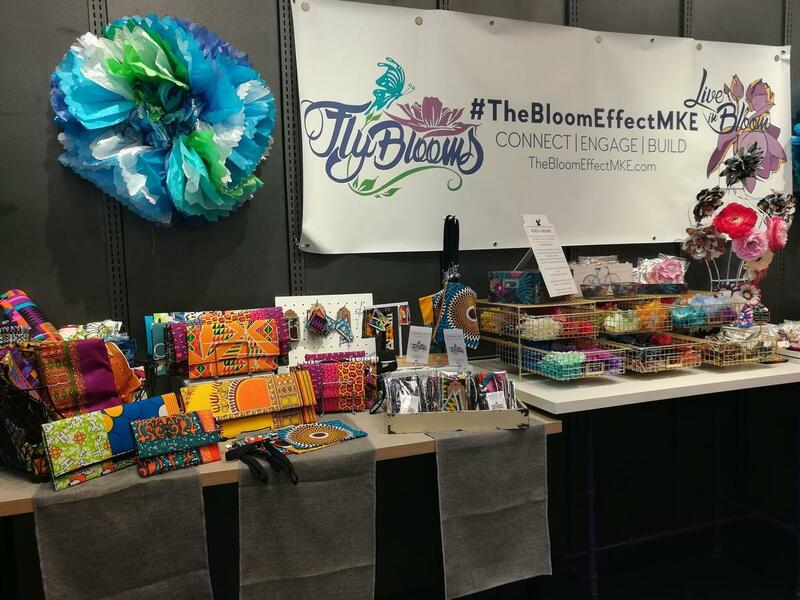 The Fly Blooms pop-up shop will be in business through Sept. 16. While she won’t have a storefront after that, she’ll continue selling online and at festivals. The organizations behind Pop-Up MKE are working to secure funding that would allow the program to continue. Northridge Mall was one of several large suburban malls built in the 1960s and '70s. 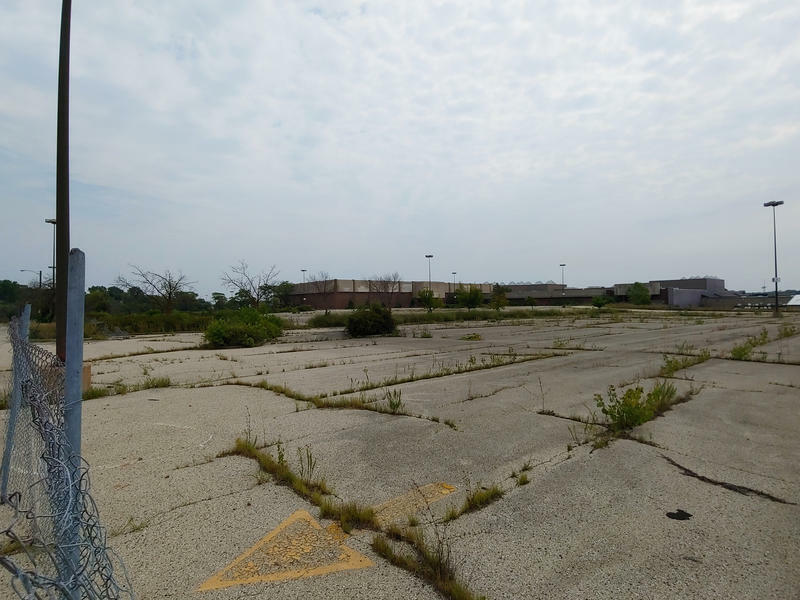 It was at the far northwestern edge of Milwaukee — at 76th Street and Brown Deer Road. But the glory days didn’t last. The mall closed 15 years ago and has gone into extended limbo. Most of the buildings remain, but they're empty. It's a big-box ghost town with a chain link fence around it. Construction is underway in Racine County on the first elements of Foxconn’s massive factory complex. Plans call for the factory to employ thousands of workers who will, at first assemble television sets, but later are expected to build high-tech glass screens for electronic devices. The Foxconn development elicited an unprecedented state incentive package, with advocates saying it has the potential to transform the economy of the region. But a new report out says another part of the manufacturing sector is already having a transformative effect.